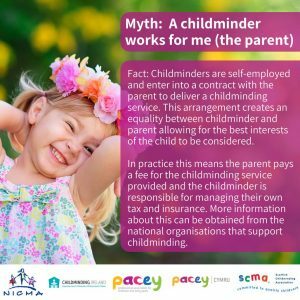 Fact: Childminders are self-employed and enter into a contract with the parent to deliver a childminding service. This arrangement creates an equality between childminder and parent allowing for the best interests of the child to be considered. 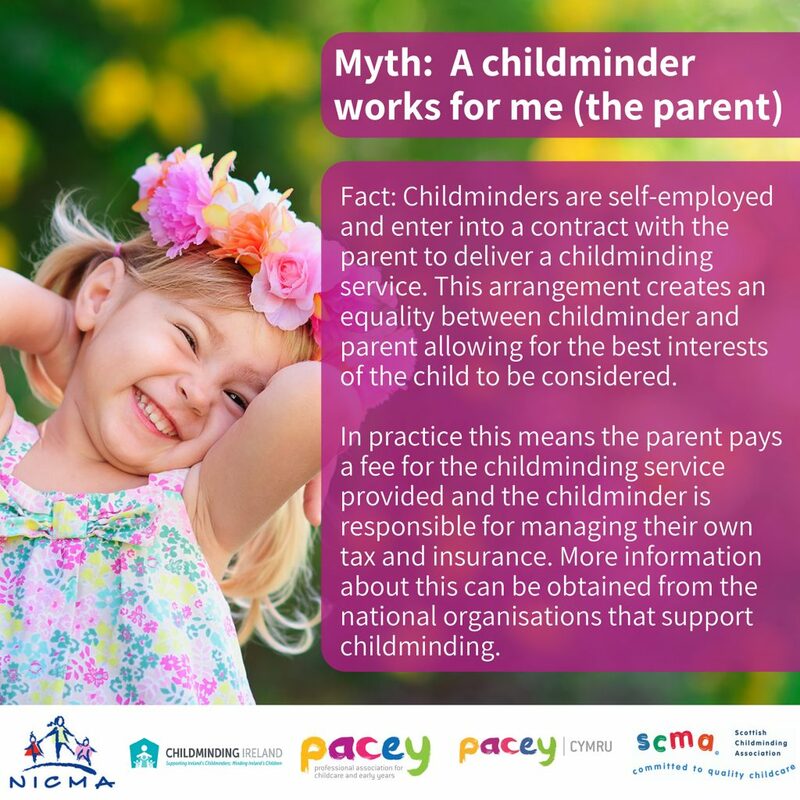 In practice this means the parent pays a fee for the childminding service provided and the childminder is responsible for managing their own tax and insurance. More information about this can be obtained from Childminding Ireland. Childminding Ireland has joined forces with four leading childminding organisations within the United Kingdom and Ireland to launch a campaign that dispels some controversial childminding myths. It is important that parents are aware of the facts when choosing a childcare provider that suits their family needs. Join the campaign today to help give childminding the recognition it deserves. To follow the campaign on social media, use #ChildcareChampions #ChildmindingVoices. Click here for the brochure which dispels this common myth. Click here for the press release relating to the campaign.